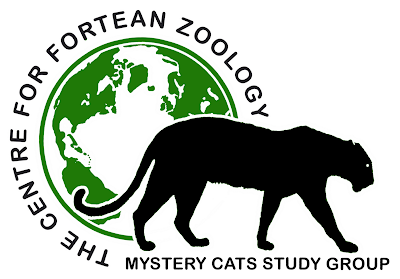 Whilst the focus of the CFZ Mystery Cat study group is predominantly the search for proof of the British big cats, it would be unrealistic to forget that this is only part of a global mystery-cat phenomenon. Here are a selection of mystery cat related stories from around the world. I will be the first to admit that I have been neglecting the big cat news round ups over recent weeks. The Weird Weekend tends to take everything over. Our first tranche of news is from Canton, Ohio, where a Savannah cat was recently found dead.. Since Saturday, police have received more reports of a possible large cat in or near the city. Paranormal: Big cat sighting opinion. One domestic sheep was killed Wednesday, prompting involvement by the federal Department of Agriculture Wildlife Services. The big cat was trapped overnight Thursday. George says it's believed to have killed a second sheep before entering the trap. Mountain lion spotted on Early Round Dr.
Big cat sightings are not new to the Tri-States. In fact, every few months we get wind of a new photo or two surfacing from area landowners. I have always been particularly interested in stories of U.S jaguars.. This next story is particularly interesting. If it is a bona fide sighting, is it a Florida Panther increasing its range north, or a cat from the north increasing its range south? If the expansion of pumas across the United States continues at its present rate, will the Florida Panther be bred out of existence? And does this matter? Search in. News Archives. Local Deals Local Directory. ADVERTISEMENT. Big cat or tall tale? Fla. wants to know. Reports of female panthers and their babies in central, northern parts of state lead FWC to set up site to post footage of their presence there. And for the first time ever, the big cats have been fitted with satellite collars.